We haven't talked like we used to, but I still hear from my friend, Michael here and there. 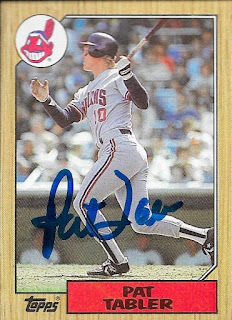 I got a package in the mail from him back in December that had some autos that he said he would get for me, highlighted by the above 1987 Topps Pat Tabler for my set. I think we got the Lincoln Henzman together at the Wood Ducks, but I could be wrong. 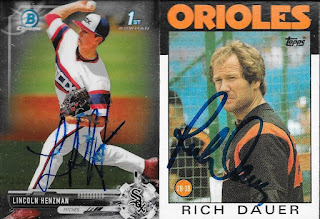 I needed the above 1986 Rich Dauer, which is a nice card. I had a few Brian Gonzalez cards left over from back when I got him when he was with Frederick. Michael hooked me up with these to finish me off with him. Finally, he got me the 1986 Topps League Leaders Mini Harold Baines and a nice 2015 Bowman Chrome shimmer mini Christian Binford. 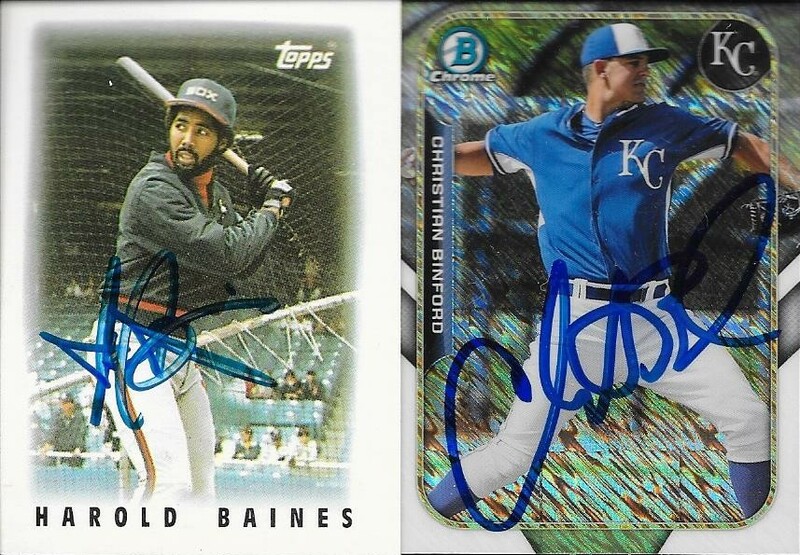 Thanks for the cards, Michael!